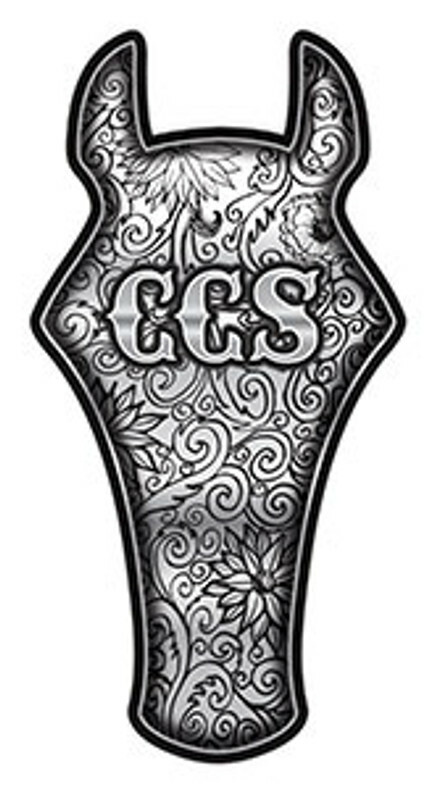 The Clovis Trophy buckle is made of German silver with a solid black overlay. The border is a basic German silver border lined with multiple stones of your choice. The Clovis has a nice mix of the black overlay and Jeweler's gold engraving. The lettering is also done in Jeweler's gold with a mix between our designer and basic letters. If you would like to see the different types of lettering, borders, and stones we can do Click Here.